Step Up For Students empowers parents to pursue and engage in the most appropriate learning options for their children, with an emphasis on families who lack the financial resources to access these options. By pursuing this mission, step-up for students helps public education fulfill the promise of equal opportunity. 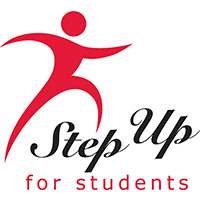 Step Up For Students is a state-approved nonprofit scholarship funding organization that helps administer two scholarships for Florida school children: the Florida Tax Credit Scholarship Program (FTC) for low-income families and the Gardiner Scholarship (PLSA) for children with certain special needs. Public education is rooted in the promise of equal educational opportunity, and nowhere is that covenant more relevant than in the lives of children who live near poverty or for students with certain special needs. ​A.A.A. 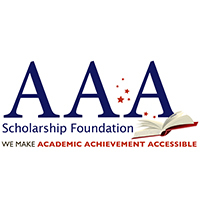 Scholarship Foundation provides economic and other assistance to economically-disadvantaged families and families of children with disabilities to enable them to select the best schools for their children. ​The typical AAA Scholarship student is an ethnic minority living with a struggling single parent/caregiver in a high crime community. The average household income of families accepted to receive scholarships is $23,559 for a family of four. Many children are either below grade level, failing at their previous school, or both, when they receive a scholarship. Parents, who find their children in these circumstances and care about their future, look for viable options. They seek an atmosphere that challenges their child to reverse inadequate learning and/or social patterns and the potential lifelong negative impact. They wish to change their child’s learning environment, acquaintances and the unfortunate predictable outcomes associated with school failure. 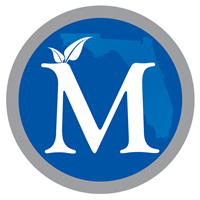 ​The McKay Scholarships for Students with Disabilities Program, originally created in 1999, provides scholarships for eligible students with disabilities to attend an eligible public or private school of their choice. 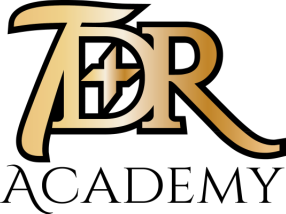 Students with disabilities include K-12 students who are documented as having an intellectual disability; a speech or language impairment; a hearing impairment, including deafness; a visual impairment, including blindness; a dual sensory impairment; an orthopedic impairment, an other health impairment, an emotional or behavioral disability; a specific learning disability, including, but not limited to, dyslexia, dyscalculia, or developmental aphasia; a traumatic brain injury; a developmental delay; or autism spectrum disorder.